Found 38 file extension associations related to Autodesk Inventor and 20 file formats developed specifically for use with Autodesk Inventor. Inventor mechanical design and 3D CAD software offers professional-grade 3D mechanical design, documentation, and product simulation tools. The default file format for Inventor uses ipj file extension. Autodesk Inventor software is the foundation for digital prototyping. The Inventor model is an accurate 3D digital prototype that enables users to validate design and engineering data as they work, minimize the need for physical prototypes, and reduce costly engineering changes discovered after the design is sent to manufacturing. With innovative approaches to accelerate and simplify the concept-to-manufacturing process, Inventor has outsold all competitors for the sixth consecutive year. As the creators of AutoCAD software, Autodesk understands your design process and created Inventor to make the process of adding 3D as easy as possible. Autodesk is focused on helping designers create accurate digital prototypes and bring better products to market faster at less cost. 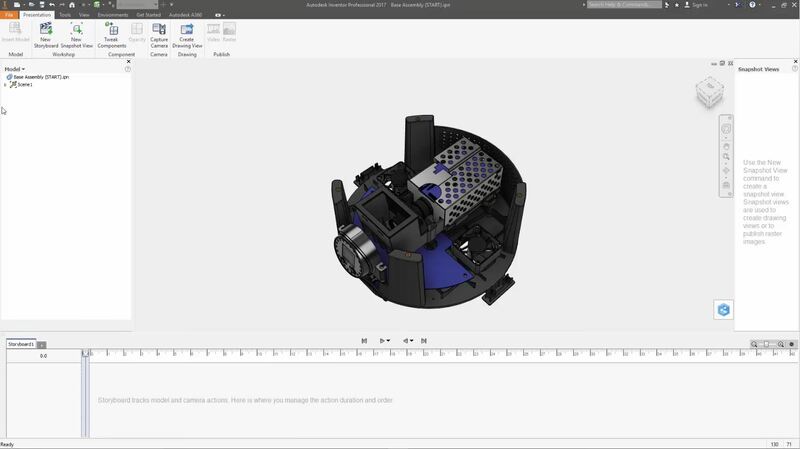 Inventor gives designers the freedom to integrate existing 2D designs into their 3D design environment, making it easy to reuse and share both AutoCAD DWG files and 3D design data with other Autodesk manufacturing applications and their users. With different product configurations that offer specific levels of functionality, Inventor is the best choice for AutoCAD users in the manufacturing space. If you need more information please contact the developers of Autodesk Inventor (Autodesk, Inc.), or check out their product website.